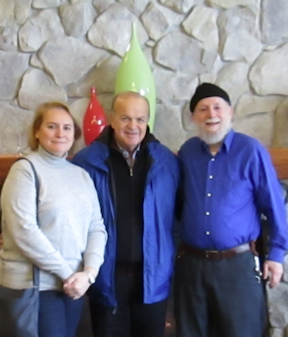 The author and translator, Ibrahim Gamard, is a Rumi scholar, born in the United States (in 1947). He has been strongly interested in mysticism (since 1966) and has been a student of sufism (since 1971). 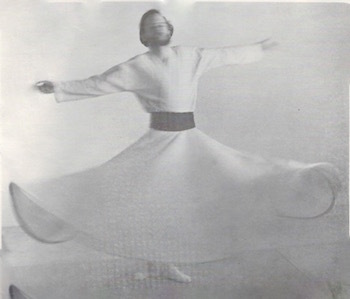 He became a semazen ("whirler") in Los Angeles in 1975 (photo below). That year, he read the entire English translation of Mevlana Rumi's Masnavi and realized that it is the greatest work of religious mysticism ever written. The next year, in 1976, a Mevlevi shaykh, Suleyman Dede Efendi of Konya, Turkey came to the United States for the first time, visited Los Angeles, and taught the Whirling Prayer Ceremony (Sema). 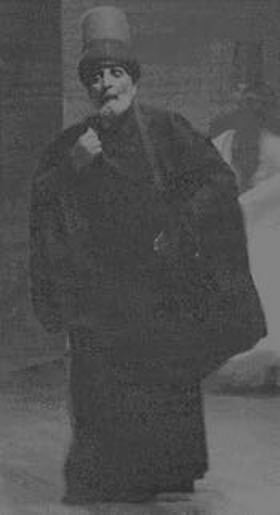 He initiated Ibrahim as a semazen (by placing the Mevlevi conical hat upon his head while praying and singing the tekbir: "Allahu Ekber...."). This was when Ibrahim became a member of the 750 year-old sufi order that derives from the teachings of Mawlânâ Jalâluddîn Rûmî, the Mevlevi ('Whirling Dervish") Order. During that visit, Dede Efendi led the Ceremony (photo below)--Ibrahim's first. 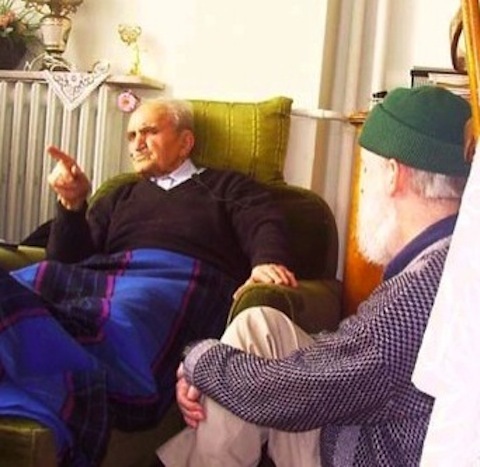 Ibrahim became a Muslim (in 1994), completed the Pilgrimage [Hajj] to Mecca (in 1999), became a neyzen, or Turkish reed-flute player (in 1998), and became a translator of Rumi's poetry (in 1985). He was the disciple [murîd] of Shefik Jan Efendi (photo below), a Mevlevi shaykh in Istanbul, Turkey (from 1999 until the latter's death at age 96 on 24 January 2005) who was under the authority of the present world leader of the Mevlevi order, Faruk Hemdem Chelebi Efendi. Professionally, he is a licensed psychologist in California (Ph.D. in Psychology, 1986). But his passion is in studying and translating the poetry of Rumi in his spare time. About 1981, he began teaching himself classical Persian for the sole purpose of reading Rumi's poetry in the original language. 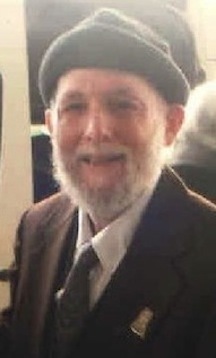 In 1985 he began collaborating with Dr. Ravan Farhadi (photo below), an Afghan professor of Persian Literature at the University of California, Berkeley, in a translation of the nearly 2,000 quatrains attributed to Rumi, together with commentary and Persian text, "The Quatrains of Rumi"), published in 2008. In December 1997, the Translator began posting articles on the Internet concerning Rumi translation issues (on the newsgroup, "alt.fan.jalaludin_rumi"). By comparing English translations and versions with the original Persian, he has attained an excellent understanding of the strengths and weaknesses of the books which have made Rumi the best-selling poet in America today. In November 1998, he was invited by a Rumi listserve group ("Sunlight" at yahoogroups.com, which offers daily translations and versions of Rumi's poetry) to add Persian transliterations to selections from R. A. Nicholson's (1926-34) literal translation of the Masnavi. This soon led to adding Qur'anic references, more explanatory notes, including some of Nicholson's commentary. In June 1999, he was invited to post his own (literal) translations on "Sunlight" on a weekly basis, of selections (of usually 20--30 lines) from the Masnavi (selections chosen by Abraham Sarmad Brody, someone affiliated with "Sunlight"). This has included transliterations of the Persian text (based on the earliest text of Rumi's masterpiece) as well as explanations of the verses based on Nicholson's two volumes of commentary. This has been supplemented, starting at the end of September 2000, by commentary from Anqaravi, the famous 17th century Turkish Mevlevi commentator (translated by the Translator into English from a 15-volume Persian translation of the Ottoman Turkish text). Other than two previous British efforts, long out of print (Nicholson's two volumes of commentary, 1937 & 1940; C. E. Wilson's translation and commentary on Book II, 1910), these are the first translations from the Masnavi into English which offer explanations from the great commentators of the past about the meanings of Rumi's words and teachings therein. He has made these translations and commentary freely available on the Internet (since 11/01) for lovers of Rumi's poetry who are motivated to study about Rumi's words and teachings in greater depth. As readers become more familiar, over time, with Rumi's metaphors, religious references, and mystical (sufi) teachings, they will begin to glimpse and appreciate the first levels of a spiritual wisdom so profound, vast, and permeated with Divine Love and Mercy, as to make the Masnavi so greatly revered for more than 750 years. He has made presentations at a number of international Rumi conferences: "Rumi: Poet of Heart, Light of Mind" (Columbia University, New York City, 6/97); "Rumi 2000" (California State University, San Bernardino, 10/00); the "Internatinal Seminar in Commemoratin of the 800th Birthday of Mawlânâ Jalâluddîn Balkhî-Rûmî" (Kabul, 5/07: "The Translation of the Complete Rubâ'iyât-e Jalâluddîn Muhammad Balkhî-Rûmî"). He has made presentations at two sufi conference: at the Sufism Symposium, San Francisco, 4/99, with a talk entitled "Rumi and Self-Discvery.? He also spoke at "The First Annual International Symposium on Sayyid Nuruddin Shah Ni'matullah Vali," San Jose State University, 10/02). In addition, he presented a talk entitled, "Themes of Peace and Lovein the Masnavi and Quatrains of Mawlana Rumi" at an international conference on "Conflict Resolution: A Dialogue Among Cultures and Religions," at Union Theological Seminary, New York City (4/02). He taught an ongoing class, twice per month, entitled, "Rumi Poetry and Whirling Prayer" which began with reading and discussion of his translated selections from the Masnavi (2/00 - 4/01). From 9/01-4/07 he co-led a class twice per month (in Berkeley, California): an hour of prayer-chanting, singing of ghazals (in Persian, with refrains sung by the rest of the group) and whirling prayer ceremony practice (to live or recorded music). He has been living near Santa Rosa, California with his wife since July, 2001. 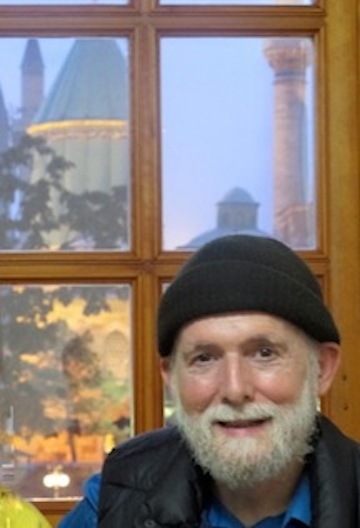 He is available to teach classes in the San Francisco Bay area on Rumi's Masnavi should there be enough individuals willing to make a long-term commitment to study the material. 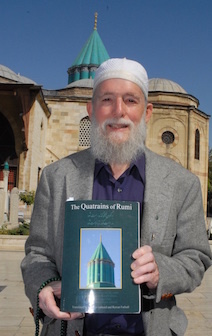 His first book of translations from Rumi's works was published in 2004: "Rumi and Islam: Selections from His Stories, Poems, and Discourses" (Skylight Paths Publishing), a book of translations from Persian of some of Rumi's beautiful stories about the virtues of the Prophet, his references to sayings (Ahâdîth) of the Prophet, and his praises of the greatness of the Prophet (upon whom be peace). Also in 2004 was the publication "Hafiz: The Mystical Poets," which includes a preface written by him that explains some of the Islamic mystical symbolism of medieval Persian poetry. His article, "Rumi and Self-Discovery" was published in "Islamica Magazine," Issue 15, Summer 2005. 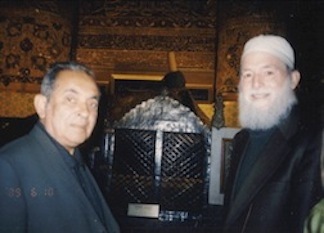 He attended the "International Symposium on Mevlânâ Celâleddin Rûmî," Istanbul, in celebration of the 'Year of Rumi' (in 5/07), to which he had been officially invited (but did not receive the invitation due to a change of email address); although he did not make a presentation, his paper ("How to Understand Mawlana Rumi") will be included in the book of the proceedings of the symposium. He was presented with a Certificate of Appreciation by Dr. Nuri Shimshekler of the Rumi Research and Application Center (Selçuk Üniversitesi Mevlâna Arashtima ve Uygulama Merkezi) of Seljuk Univerity in Konya, Turkey on September 13, 2008 for his "contributions and studies about Mawlana in the U.S.A." This was in regard to his forthcoming book (done together with Dr. Ravan Farhadi), "The Quatrains of Rumi". The presentation was made at Rumi's mausoleum in Konya, together with an interview about the book. This was shown on Turkish television and articles about the book also appeared in Turkish newspapers and on news websites. 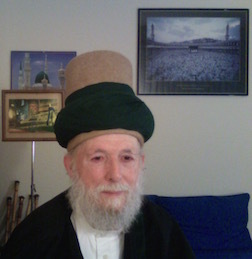 He had two articles published in the "Mawlana Rumi Review," the first academic journal dedicated to the works of Rumi: "The Popularity of Mawlana Rumi and the Mawlawi Tradition" (Volume 1, 2010) and a book review -- "Kenan Rifai, Listen: Commentary on the Spiritual Couplets of Mevlana Rumi, translated by Victoria Holbrook." (Volume 4, 2013). He attended an international symposium on Sultan Walad, Mawlana Rumi's son, in December 2011 in Istanbul and Konya in which he read a paper, "The Dervish Lover in the Quatrains of Sultan Walad." He participated in a press conference in Istanbul in December 2014, during which the world leader of the Mevlevi tradition, Faruk Hemdem Chelebi Efendi, together with several Mevlevi Shaykhs, spoke about problems related to the commercialization and degeneration of Mevlevi whirling dervish and whirling prayer ceremony performances.